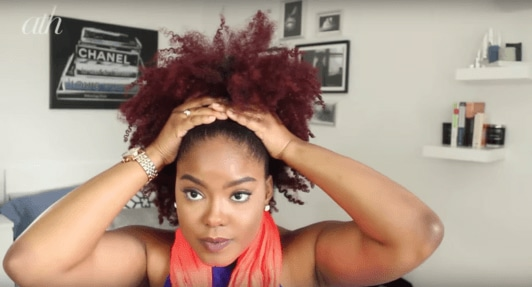 Here’s how to get the puff in under 5 minutes. 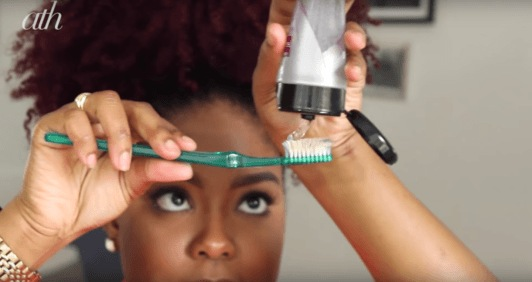 Want to know how to get an extra day out of your hair when your twist-out, braid-out, or wash-and-go is fading? Of course you do! 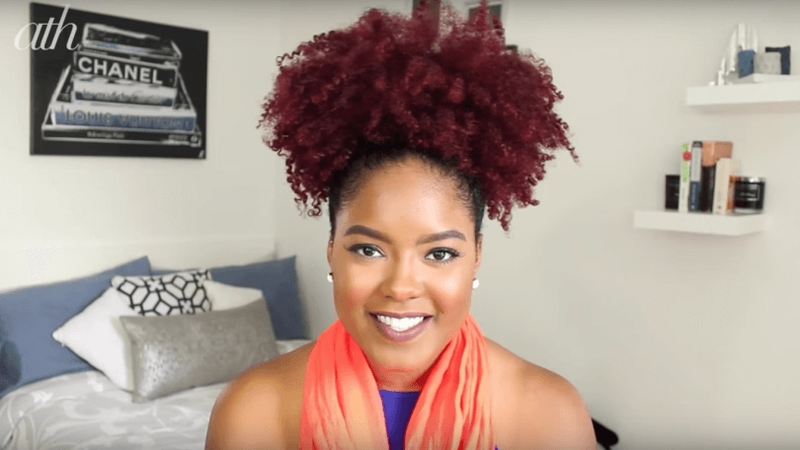 Well, it just so happens that we have the answer, and it all lies in clever natural hair updos. Introducing: the puff. It’s not often you find a super cute hairstyle for natural hair that works on both short and long tresses. 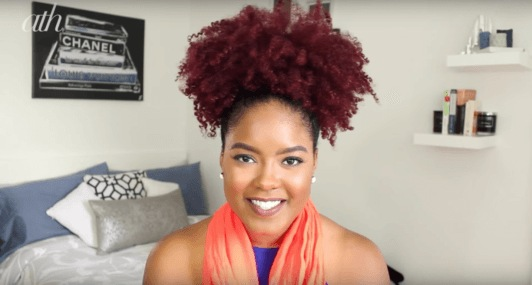 But we have, and American beauty vlogger Breanna (AKA MiniMarley12) is here to show you how to create one of her signature natural hair updos. 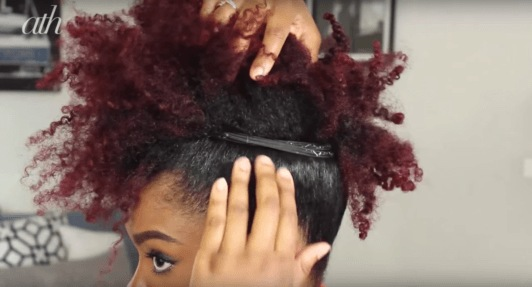 Simply watch the video above to learn how to create the puff, or for a step-by-step breakdown, keep reading below. Before you start, wash you hair with the Dove Advanced Hair Series Quench Absolute Shampoo (£5.99*) and Conditioner (£5.99*). These products will nourish your curls, smooth away frizz, and make your locks soft and shiny! Take a gel, like the VO5 Classic Mega Hold Gel Spray (£2.99*), and smooth it over the bottom section of the back of your hair. This gel will help to hold your hair in place, whilst leaving a touchable, smooth finish. Then, using a brush with hard bristles, brush your hair upwards to distribute the gel and help smooth out the hair for a sleek appearance. Using the same gel, repeat step 1 on the front sections of your hair. This time, brush the hair backwards. Place a large elastic headband over your head and double wrap it (like you’re tying a regular hairband). 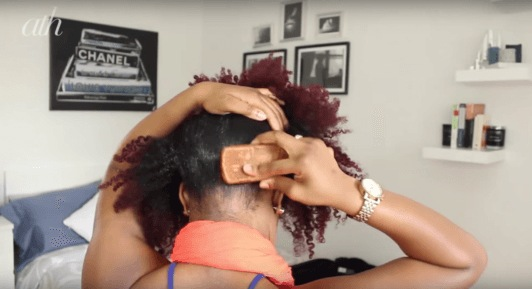 Then, push it up so that it sits on the perimeter of your hair. 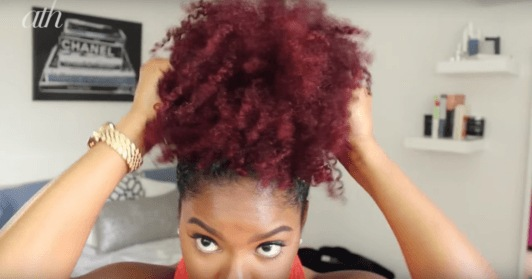 To create the puff, gently push the headband back in the front, and up in the sides and back. Keep going until you reach your desired puff size and height. Tip: for dramatic volume, don’t push the headband too far up, as the less you push it up, the bigger your puff will be! And if you ask us, the bigger the puff, the better. 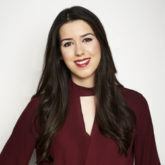 For a super sleek look, follow this handy tip: squirt some gel onto a spare toothbrush, and use this to gently brush over the hair on your scalp. If you’re not used to use gels, then try spritzing some VO5 Gel Spray, smoothing it down with your fingers or a toothbrush. This will help to smooth down any pesky flyaways, and leave your hair looking slick and tidy. If you have dry, dull ends, use a small amount of hair oil to help add some shine. Squirt a 5-10 pence piece-sized amount of the TRESemmé Oleo Radiance Oil Elixir for All Hair Types (£8.99*) into your palms, rub your hands together, and then gently scrunch the curls in your puff to coat them in oil. Shinier-looking hair, here you come! And there you have it, a cute, easy-to-do natural hair updo for locks of any length! Alesha Dixon hair – like you've never seen it before!